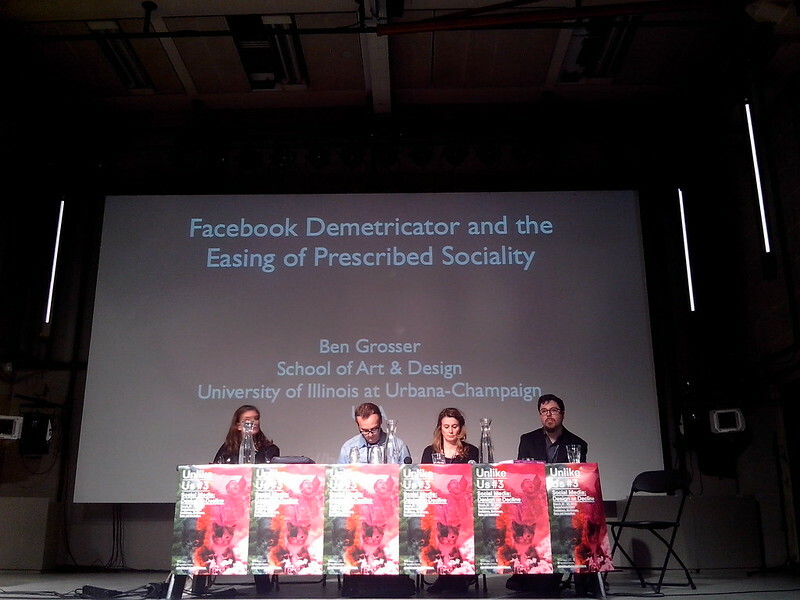 At Unlike Us #3 Ben Grosser presented the Facebook Demetricator which is a web browser extension that hides all the metrics on Facebook and therewith demetricates Facebook’s interface. 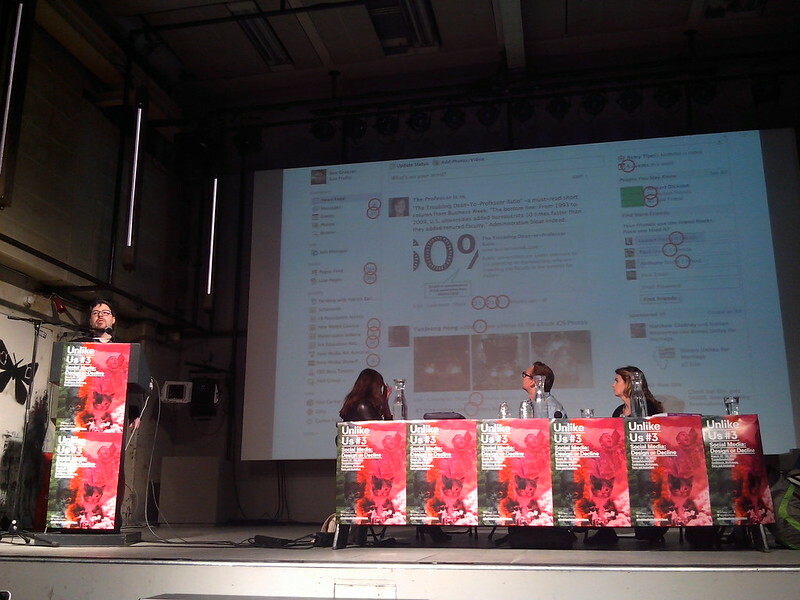 Grosser describes his project as a piece of critical software that intervenes in the numerical focus of Facebook. The quantification of social relations: More! The scene depicts a moment in the movie, which deals with the 2008 USA financial collapse, before the financial crisis and shows capitalist society’s fetish with increasing numbers and numerical growth which eventually came to a collapse. He describes the human desire to make numbers go higher, whether this means stocks rising, calories burned, friends added, likes accrued or comments left. Grosser states how we are obsessed with these numbers and that we’re paying more attention to the numbers than the actual content of the interaction. He defines metrics in relation to his project as enumerations of data categories or groups that are easily obtained via typical database operations and studies these in relation to the Facebook platform from a software studies perspective. How do these metrics enable things in the sense of Matthew Fuller’s conditions of possibilities? The metrics increase user engagement with the site through the quantification of social relations as may be seen in the +1 included in the Add Friend button. You can increase your personal worth by incrementing your social value if you add a friend and the number is making that value explicit. With this piece of critical software Ben Grosser addresses how Facebook constructs its users by guiding its social interactions through the metrification of its interface. Reload the love: Reload The Love! automatically detects when your Facebook notification icons are at zero and artificially inflates them for you. If new notifications arrive after Reload The Love! has inflated them, they will instantly revert back to accurate values. And any time you want to reinflate them, just reload the page to Reload The Love!